I’m a Renaissance fitness woman – I lift heavy, sprint often, box, play and take on any physical challenge that comes my way and try to look good while doing it! I train for life . I’ve been a fitness addict since the age of three. I blame it on my mom. She started my addiction. For her, it was more fun to play tennis with me than Barbie dolls. Can’t really blame her…Barbies are pretty boring. So since the age of three, I’ve been an active, fitness loving person. I loved just about every physical activity – tree climbing, rollerblading, biking, baseball, running, soccer, Frisbee, gymnastics, ballet dancing…ok tutus weren’t really my thing so that didn’t last very long…But yea, I loved (and still love!) any physical activity. 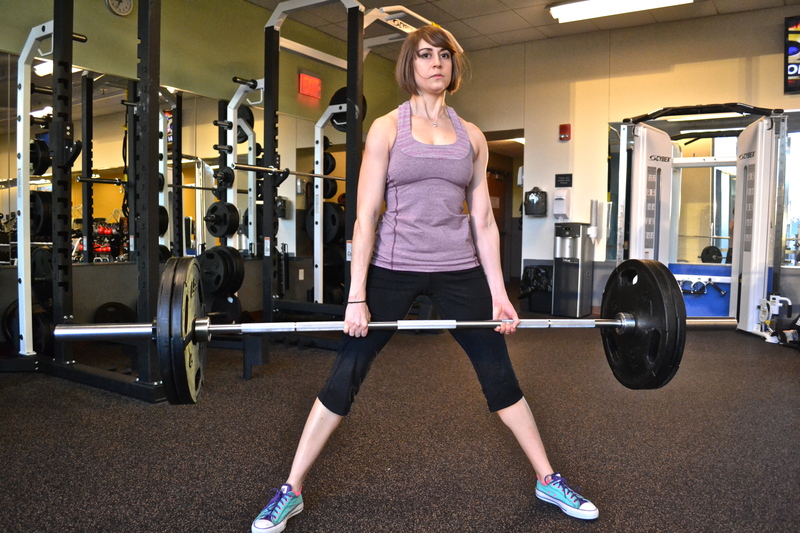 When I went to college, I found a new love – weight training. Before college, I’d never really done any power lifting for tennis. Medball workouts, footwork drills, plyometric and body weight training I’d done…and I liked all of them a lot. But weight training…wow! It ranked right up there with playing tennis and eating yummy food. All throughout college, I fed my fitness addiction. Two hours of tennis a day (at least) followed by about an hour of training. I tried to lift weights as often as I could. And then an injury my senior year of college took some of the fun out of training. It made playing tennis and working out each day a struggle. For the first time in my life, I couldn’t wait for a chance to get away from training and tennis. Of course, after one week off, I was itching to get back into the gym and onto the court. That summer I worked out all the time. And then in August, I started my full-time job. Then the hard part was finding the time. A full-time job didn’t allow me as much time for working out as school had. And after work, I was usually tired and had a hard time getting into a routine. When I did workout, my workouts lacked direction. They were sloppy and usually I didn’t push myself. I wasn’t used to working out on my own. I also started to get depressed since I couldn’t find the time to play tennis. My fitness addiction turned into a Chinese food and pizza binge eating addiction. It was difficult adjusting to working out for only an hour a day. It was difficult not playing tennis. It was 10 pounds difficult. Ever seen an orange with toothpicks sticking out of it? Well that is what I looked like the fall after I graduated from college. It was time to make a change. I refused to buy new cloths so that meant I needed to lose weight. Also, I missed working out intensely! I missed the endorphin spikes! I started researching weight training and designing workout routines that I would do no matter if I felt full of energy or tired that day. I mapped out weights and reps. No more slacking off! I also started attending classes. I fell in love with Spin – ok actually, I dread spin classes. But I dread them because they are hard! I gave myself no excuse to miss a workout. I started doing some of my workouts at home. P90x and insanity may be workout videos, but trust me…they are no Jane Fonda (no offense Jane Fonda…I still think you are awesome!). I got back into a routine, which allowed me to enjoy working out again! And I changed my diet. I couldn’t just eat whatever I wanted like I did in college. I started a low-fat, lower carb diet, which took the weight right off. I dropped about 15 pounds in about 90 days. Of course, I found this tasteless diet impossible to maintain once summer hit. I love ice cream! That whole experience just made me even more fascinated with fitness and healthy eating. It drove me to seek a job at Fitcorp. It has pushed me to study for my training certification. Its pushed me to question and research conventional wisdom about exercise and healthy eating. And now? Well now I conduct fitness “experiments.” And these experiments have led me to create a Man Bicep workout and diet program, which is constantly evolving and becoming better even if the basic principles stay the same. On my program I’ve increased my strength, but more importantly I’ve constantly challenged myself and made myself grow. I’ve found EMPOWERMENT through fitness. I’ve also learned that “strength” can mean a lot of different things. While powerlifting will always be my first love, I’ve found that there are so many other strength activities out there that I enjoy and that have made me both physically and MENTALLY stronger. And in terms of my Man Bicep diet…WHOLE NATURAL FOODS. I eat no grains, no sugars, no gluten period (unless it is a bad cheat day of which I indulge in week…hey that works for me!). I also consume no vegetable oil. No bad omega-6s for me! Instead, I eat lots of meat (yes red meat and bacon, but uncured and naturally raised a.k.a grass-fed, free range and such!!) and vegetables. I occasionally have fruit and nuts and include carb re-feeds with rice and potatoes a couple of times a week. Oh and did I mention I eat lots of fat on the low carb days!?! Coconut oil, butter and duck fat!?! There is definitely no fear of fat on this diet! While I definitely believe my diet is best haha, there are lots of diets out there that work. Finding the one that works best for you is the most important thing! What’s your diet of choice? Nice blog, but you should show your picture somewhere. I mean your face, not your arm. It’s hard to connect with someone when you don’t know what she looks like. Just a thought. ” (cause hey…some days “living” means eating a whole pizza and a pint of Ben and Jerry’s! ).” I LOVE your outlook…I totally agree! I just found your blog via the Shape article on bloggers’ gym bags – I love your feisty outlook! I’m pretty much the opposite of you (a vegan marathoner) but I’m excited to add a new perspective to my repertoire! If something works for you and makes you happy stick with it! 🙂 AND hey…lifting is good for improving your marathon time sooooo you never know…. I’m 5 foot 3.5 inches and weigh currently 118lbs. I wish you luck in your lifting endeavors and if you ever want a workout program written up for you, shoot me an email!!! I write up all sorts of workout programs for people looking to achieve a wide range of goals. Awesome, thank you for sharing Cor! I thought you looked about the same height as me and we are almost exactly the same (I’m around 5’3″-ish). I am 120lbs right now but would like to lose a little more “padding” and add some muscle on there. I just want to thank you again for sharing on Mark’s site. I have been interested in lifting since I started poking around on MDA but my hubby has been really hesitant about it it because he says he doesn’t like those “muscled girls.” When he saw your video he was super-impressed with your lifting and also that you are still very slender 🙂 He is suddenly a lot more supportive. I really can’t wait to get somewhere where we have more room and I can actually get going with more than the hand weights I have now. Do you have any book recommendations or websites that give a good intro to lifting? The one thing I’m going to say is don’t focus too much on your weight. You may gain weight as you add muscle even though you have lost a ton of body fat. And I’m glad your hubby is more supportive! There honestly are only a handful of women out there that can bulk up…and most of them take steroids! It will also be super nice that you two can lift together! Honestly, a barbell with a bench for benching and some free weights are all you need. Start with the big lifts like squats, bench and deadlift. You can also do some auxiliary lifts like balance lunges, push ups, pull ups (there are bars you can get for your door), wall sits and so many others!!! You don’t even need that much room! You can even get in cardio by doing jump squats and burpees! Hmm…Honestly, I haven’t really found many great books/websites for beginner lifters. A really great home workout program though is P90x. Thanks so much for the helpful replies Cori. I’ve thought about P90x but honestly don’t know if I could sweat the intensity :p But since it’s home-based I have given it serious thought. There’s no way we could fit a bench into this house though we would both like to get one. It will have to wait until we move! Is there any use looking at another bar/weights until we can get a weight bench? Maybe look at heavier dumbbells? P90x is intense but you could start slow. And it shows you form, which is good. Bowflex dumbbells were a great investment in my opinion. I got ones that go up to 52 lbs and can be used for everything! A great way to start working out in the space you have, is to do crossfit style workouts. Have you done any lifting movements before..squat, deadlift, bench? Email me at manbiceps@gmail.com…I think I could come up with a few programs for you! Just dropping by to let you know I am also nominating you for the Very Inspiring Blogger and Sunshine Awards!!! I love your blog and even have my trainer and boot camp buddies reading it too!!! So happy I’ve found your blog! This is awesome. Very inspiring story, looking forward to reading more! 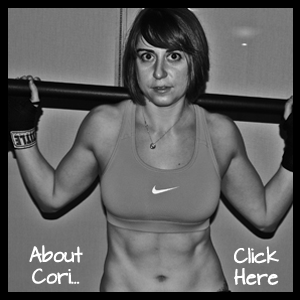 Just found your blog and love that you have a healthy attitude toward eating and working out. So many blogs have a weight loss and dieting focus,whereas I feel yours has an overall health focus. Very refreshing. I just put you in pinterest to spread the news of your blog. Keep up the good work. Dear Dr. Oz – Today we’re launching an angel funded non-profit nutrition educational organization called Slim is Simple. SIS will provide compelling multimedia resources—free of charge—that the educational and health communities can leverage to share the simple, fun, and proven nutrition and exercise science necessary to stem the obesity, diabetes, and heart disease epidemics. We’re working to get this “curriculum” into schools, churches, and etc. Augh! Don’t talk to me about diet. It used to be easy, until kids came along. Now I’m finding the only way to manage things is one meal for them and another separate dinnertime for me. Nothing else works. I really wish I could have been raised with a love of exercise but I had just the opposite. Now as an adult, I find it hard change how I’ve been living my entire life but I know its worth it. I want my daughter to live in a house where fitness and healthy food are a must. I am trying hard now while she’s a baby so it is easier for both of us when she’s older. I love your blog and look forward to reading it.